Prepare to have your definitions of Japanese pop turned inside out. If your perception of the genre has previously been restricted to products of MTV Asia, sub par anime, and j-pop pretty boys/girls, then prepare to get knocked off your barstool. 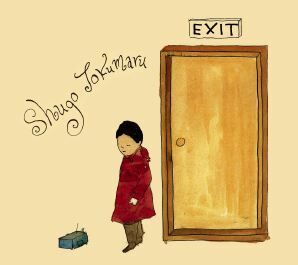 Jack of all trades Shugo Tokumaru’s third solo album is the record that he has been destined to make since 2004’s mini pop masterpiece Night Piece. But both Night Piece’s nocturnal atmospherics and the following year’s psychedelic excursions of L.S.T. were highly themed, and it would only seem like a matter of time before Tokumaru would make an album like Exit, a full on pop album. Immediately significant is the first song, the first by Shugo that could constitute as a pop hit. It is here that all of his finest talents convene for one hell of a single. He has a great sense of the melodic hook, and his advertised multi-instrumental talent still ends up being the focal point of both Parachute and the better portion of the rest of the album. Silly melodic flourishes and gentle harmonies dress each piece, and the album is said to use over fifty of the one hundred instruments that Tokumaru claims to be able to play. This is only one of the many features of Tokumaru’s albums that have caused critics to label him a pop innovator. He is certainly this, but more in the traditional sense. The time signature switchups and chord progressions that the musician utilizes are definitely out of the ordinary, at least for traditional pop, but nothing here feels out of place, and every song is a whimsical, poppy gem splashed with childlike innocence and Eastern style. Also notable are his vocals, light, easily maneuverable, and completely appropriate for his music, and although his lyrics wont be understood by non-Japanese speakers, his emotion transcends language barriers. Highlights are not few. The first three songs, Parachute, Green Rain (continuing his tradition of songs named after various forms of precipitation) and Clocca are extremely memorable and easy picks for singles. The musician also finds room for straightforward guitar pop throughout, making the acoustic guitar his main instrument of choice as gently exemplified on Sanganichi. Also highly memorable are the last three songs. Hidamari is a gentle lullaby spectacularly detailed with lush instrumentation that manages to not be overbearing in any way. La La Radio is possibly the most ambitious song on the album. It transitions from melancholic to fast in catchy in about the most effective way imaginable. The album is capped off by Wedding, an instrumental piece that might have felt at home on Night Piece four years ago. What is truly amazing is that it feels completely at home here as well, which is a good indication that Tokumaru has amassed a solid repertoire of songs and styles throughout his three albums that can truly qualify him as a distinctive figure in music. Probably the most noticeable difference between Autechre’s latest LP Quaristice and their back catalog is song length. The electronic superstar duo is still cranking out experimental music, as signified by the complex rhythms, amorphous tones, and colorful aural textures, harkening back to their latter experimental albums such as LP5 and Draft 7.30. The difference is that the songs are significantly smaller, with a few notable exceptions. These exceptions perhaps reveal a growth in soundmasters Sean Booth and Rob Brown. The first song to break five minutes is Simmm, which sounds much like a Tri Repetae b-side. An abstract but traceable pots-n-pans beat is built upon with very clean cut sounding IDM synthesizers until the latter half of the song kicks in with an assortment of sound experimentation that we would come to expect from more recent Autechre; synthetic sounds vaguely resembling water splashing, Mario going down a green pipe, or metallic pops are the norm for the duo. What makes Simmm particularly interesting is that it develops and ends within the five minute length comfortably. We can only guess, but guess reasonably that if Autechre made this song ten years ago, it would have likely continued on for an additional unnecessary five minutes. This improved awareness of time is applied with great success on some songs, such as Simmm and many of the more off the wall compositions on the album, which are not necessarily bad but do not need to be test driven or worked with for more than the two or three minutes given to them. However, another thing that makes Quaristice a pretty bold album for Autechre are its ambient pieces, and it is difficult to say whether or not they were subject to deliberate timing decisions. The opening Altibzz is one such ambient song, and is destined to be an electronic classic. Probably the most beautiful piece the group have ever recorded, it shows an impressive amount of restraint with its soft synthesizer melodies that intermingle with one another to form brief and understated harmonies, the result being a mesmerizingly beautiful song that is full of life. 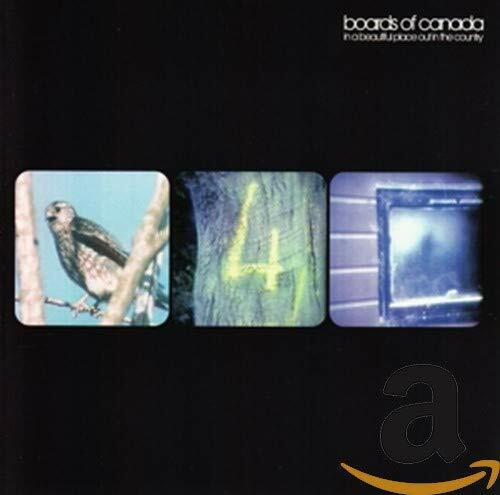 The song clocks in at 2:52, and although many listeners could have probably listened to the song for five minutes more without getting tired, its brevity makes the song that much more delicious and fleeting, much like the shortest and sweetest pieces by Warp compatriots Aphex Twin and Boards of Canada. But alternately, we have the opposite side of the spectrum with the less melodic ambient pieces. Of these, Paralel Suns is quite short and both Notwo and Outh9X are very long. The catch is that both seem to work, Paralel Suns being enjoyably brief in contrast to its massive scope, and Notwo being quite long but consistently relaxing, while Outh9X actually does have quite a bit to say and is appropriately the longest song on the album. But Quaristice is in no way an ambient album. Autechre probably do have it in them to make an ambient album, but Quaristice ends up being fun because of all of the bases it covers, ambient just happening to be the most interesting of them. It is a versatile electronic album, hitting genres as far away from one another as RDJ reminiscent acid house (chenc9), the aforementioned ambient tracks, glitch, and more. But this is Autechre, so a good deal of the tracks are less music than they are experimental organized sound. It is likely that Quaristice will confuse listeners new to electronic music just as much as Autechre’s previous albums. However, it is still significantly more likely to draw new fans or change the minds of anyone who had their doubts about Autechre, due in part to the band’s new understanding of time management, which is a problem which they have always wrestled with. 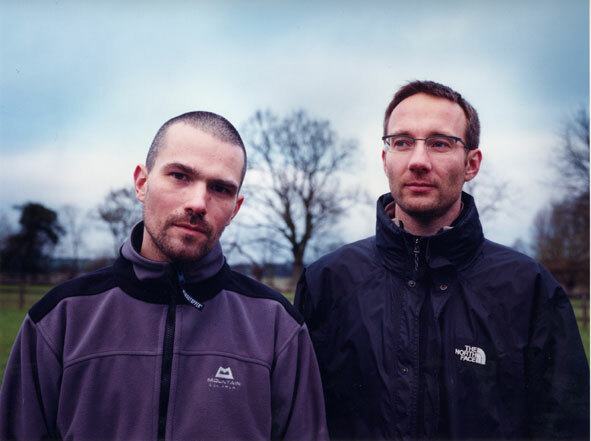 And because Autechre are still finding new and effective ways to express themselves through electronic music, and are still producing the occasional brilliant cornerstone song to the genre like Altibzz, it has become difficult to deny that they are the future of music, for better or worse. While Alice In Chains made a great deal of angry metallic hard rock, they also made two EPs worth of equally emotive music. Both Sap and Jar of Flies are melancholy EPs that find Alice in Chains at their most vulnerable. While Sap was a fun outing, it was also a little unsure of itself. Jar of Flies, however, perfectly articulates what it is trying to say without missing a step. What makes it so appreciable at first listen is how different it is from any other Alice in Chains release, in that none of the songs have the heavy crunch that the full albums do, and instead rely on texture and simple melodies to do their work. Launching with Rotten Apple and Nutshell was a dangerous move. These are two of the band’s most well put together songs, and one would think that putting them back to back would make for too difficult of a beginning. But their juxtaposition only does them good. Rotten Apple is the albums foremost statement. Everyone is at their instrumental prime here. Layne Staley works layered vocals like no one else can in wispy flourishes, Jerry Cantrell presents an almost funky sounding guitar solo while alternatively strumming complex but warm chords, Mike Enez’s bassline is the strong supporting undercurrent of the song, and Sean Kinney delivers a knockout drum performance. All of this comes together to make quite a start…sad and affecting, yet somehow fun and digestible, as Cantrell’s fun riffing at the end suggests. If Kurt Cobain ever wanted to heal the fully realized articulation of what it means for “comfort in being sad,” we can only wonder if he heard Nutshell before his suicide later in 1994. This is likely the saddest song committed to recording, mostly due to Layne Staley’s vocals. His delivery is completely earnest and believable, and when he says that he would be better off dead, we know he means it. Kinney’s steady rhythm sounds almost like the crackling of a campfire. Enez’s bassline is once again the core of the song. Cantrell takes the cake with a memorable chord progression and a muscular solo. From here the album hits its emotional extreme with the second single from the EP, I Stay Away. This is about the hardest and softest the EP gets, all within the same song. After a short delicate string intro, the song starts its light, emotional verse. Each verse is interrupted what feels like halfway before it should to make way for an angry alternate second verse, which sounds like a slowed down Dirt outtake. The song teeters in this schizophrenic style until it finally reaches its chorus only to be once again interrupted by the angry second verse. When the song finally does hit the entirety of its chorus, the full force of the violin melody does its emotional damage. This song is the blends the sadness that precedes it with the recovery that proceeds it. And that recovery comes with No Excuses, the disks first single, which pulls the listener up by their collars into something more happy. Instead of settling for despair like the songs before it do, No Excuses, much like Got Me Wrong from the Sap EP, seems to offer a constructive solution to the problem, and therefore lyrically feels very accomplished. It also helps that the song might just be the catchiest single in Alice in Chains’ library. Once again, the performances all around the board are perfect, and by this point we can trust the band. Also notable here is Jerry Cantrell’s excellent backup vocal performance. It is hard to not think of Staley and Cantrell as being one of the best vocal duos in rock history. Whale and Wasp is the EP’s odd duck, in the sense that it is an instrumental. However, it is just as well constructed a song as any other piece on the disk. Like its title suggests, it also deals with extreme contrast, like I Stay Away, albeit somewhat more softspoken. The song alternates between a minor toned guitar strum that is complemented by sharp, haunting solo tones, and a more happy chord progression that is complemented by a cello solo part. By the end of the song, both parts meld to make a lush major toned melody that acts as a compromise to the conflict that came before it. After this we have the most tender song on the album, Don’t Follow. The song is a lullaby, the basis of which is a lightly plucked melody on an acoustic guitar from Jerry Cantrell that develops into a gospel piece with Layne Staley’s finest vocal performance on the disk. And finally, the EP is capped off with the funky sounding Swing On This, probably the most positive song Alice in Chains ever made. In fact, Layne Staley does say “I’m okay,” halfway through the song, albeit in his signature haunting doubled vocals, but we believe him here as much as we believed him on Nutshell. The speaker finally gives up being alone and says that it is time to come home, which is a proper resolution to listlessness, confusion, and recovery present on the rest of the album. Jerry Cantrell ends the disk with a similar funky guitar solo to that which ended Rotten Apple at the beginning of the EP. The magnitude of excellent songs on Jar of Flies would have been enough to make the EP be one of the best ever. These songs are completely confident of themselves and understanding of complex emotions. But its development is what makes it truly striking, and an easy pick-me-up for me when I feel sad. I used to think Sap and Jar of Flies should have been combined to make Alice in Chains’ finest full album, but I see now that this could not have worked. Jar of Flies is perfect on its own. It tests the limits of the artistic possibilities of the EP format and succeeds in revealing a wealth of conclusions of its strengths and boundaries, as well as being a perfectly formed album. And it ended up being one of the top selling EPs of all time, and also being the first to reach number one on the Billboard Top 200. Those numbers don’t lie. This is likely the greatest EP of all time and Alice in Chains’ definitive statement. Before My Bloody Valentine released their first album, Isn’t Anything, in 1988, they released a boatload of EPs. These EPs had a clear progression, but it was not until the seventh such EP, You Made Me Realise, when the band started to refine themselves into something important, and something more than a cheap pop band. Not that there was anything wrong with Strawberry And Wine and Ecstasy. Although they were deliberately vintage in their songcraft, they were loaded with fantastic pop that was more shimmering than most anything else on the market. In that sense, You Made Me Realise clearly bridges the gap between Ecstasy and Isn’t Anything. My Bloody Valentine are still a pop band, but are trying new and brave things. All the songs here are under four minutes, making the EP feel tightly wound, and each song has something completely different to offer. We still hear the familiar pop gold on the fast, driving Thorn and the closing Drive It All Over Me, two of the catchiest tunes ever put to record. Conversely slow and creamy is the hip hop inspired Slow. It has no chorus, and features one of the first examples of My Bloody Valentines famous tremelo techniques that would be touched on with Isn’t Anything and perfected on Loveless. The title track is three and a half minutes of blistering punk, and is in many respects My Bloody Valentine’s most triumphant single, with a final noise freakout that would swell from forty seconds to twenty minutes by the time it became a live staple for My Bloody Valentine to turn up their amps to ludicrous volumes and bombard their audiences with noise. This noise break may very well have been what inspired My Bloody Valentine to do the great things they did on Isn’t Anything and Loveless. Equally as interesting is the avant garde song Cigarette In Your Bed, which develops from a marching pace to a sprinting final stretch, all while experimenting with a range of guitar techniques. All of this comes together to make an extremely important EP in the history of both My Bloody Valentine and the shoegaze genre, but more importantly one of the most fun and listenable EPs of all time. Tool guitarist Adam Jones has said of Opiate that the band wanted to put their fastest, most muscular songs out first to make a splash, and it is easy to see how the plan worked and gained the group early popularity. If Tool’s later releases see their ideas fully realized and developed, they are still exhausting and difficult, while the Opiate EP is alternatively short, testosterone fueled, and fairly easy to digest, and probably the reason that Tool were initially grouped into the grunge scene by critics. The single Sweat is representative of the overall style of the album, heavy yes, but also catchy and skillfully written. In fact, it will surprise some that Tool seems to enter their career with great finesse. Adam Jones and Danny Carrey in particular play fast and complex rhythms that would come to characterize the band later on. Maynard James Keenan’s lyrics are the most undeveloped aspect of the band at first notice, but he does tell us up front that he “can say what he wants to,” so it is hard to argue against such confidence. The excellent albums that follow it are superior, but Opiate is anything but insignificant. You are currently browsing the Kaini Industries blog archives for September, 2008.